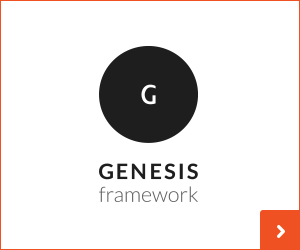 Need a complete reference of action hooks and filters found in the Genesis Framework? Here ya go. If you’re more interested in how to use hooks to customize or create Genesis child themes, check out the resources at the bottom of this post. Hook Reference, engage your engines. Let’s begin. p.s. There are affiliate links in this post. Watch out, ’cause they bite! Note, however, that these are not the only hooks you could use in a template. See the next section for to reference structural hooks. Hint: To find available action hooks in any theme or plugin, search the codebase for do_action. The previous set of hooks are ones used specifically in Genesis’ theme template files. The following hooks are the ones found in the /lib/ folder. Most deal with front-facing content and few deal only with the WP admin area. I’ll group the latter toward the end. Note that I’m only including HTML5 hooks added in Genesis 2.0+. The old XHTML hooks should be thrown down the garbage disposal. Most of the time when developers talk about hooks, they’re talking specifically about action hooks. But hooks come in two flavors: actions and filters. And guess what? Filters have feelings, too, so that’s why I’m including a filter reference. Hint: To search for what filter hooks are available in any theme or plugin, search the codebase for apply_filters. Great list, very usefull as a reference, thanks! Much appreciated, thanks for posting! I am trying to apply my custom class to the of genesis nav items . What I want -> “my-custom-class”. How to achieve this ! Love your work, also looked at your lessons on Lynda! I have not been able to figure out for few days, how to add additional classes to element in Genesis posts loop. I was really hoping you would be able to help me figure this out.